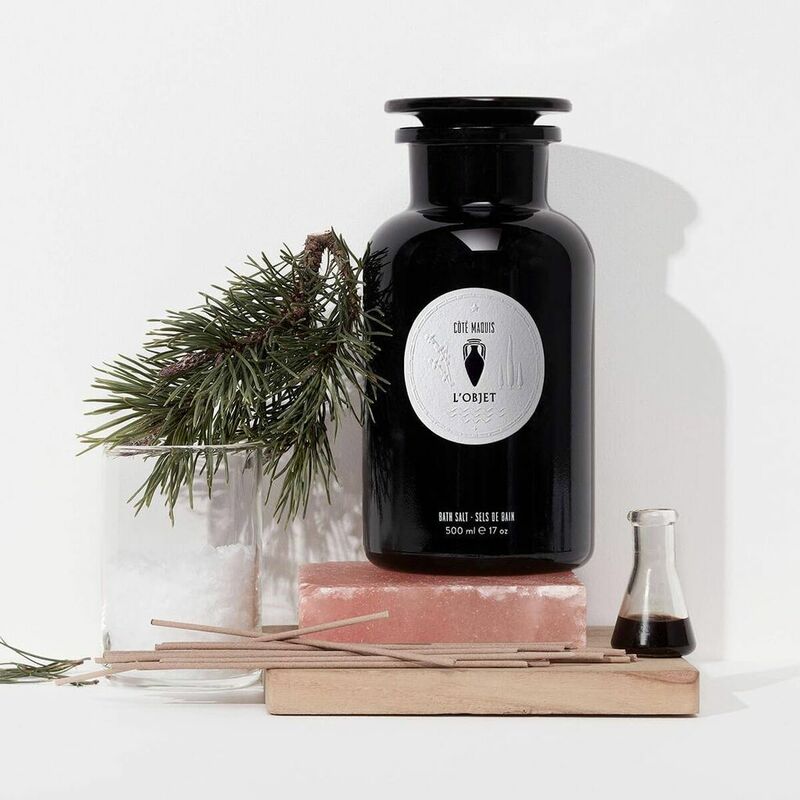 Artfully balanced aromatics can transform ordinary rituals into extraordinary escapes. 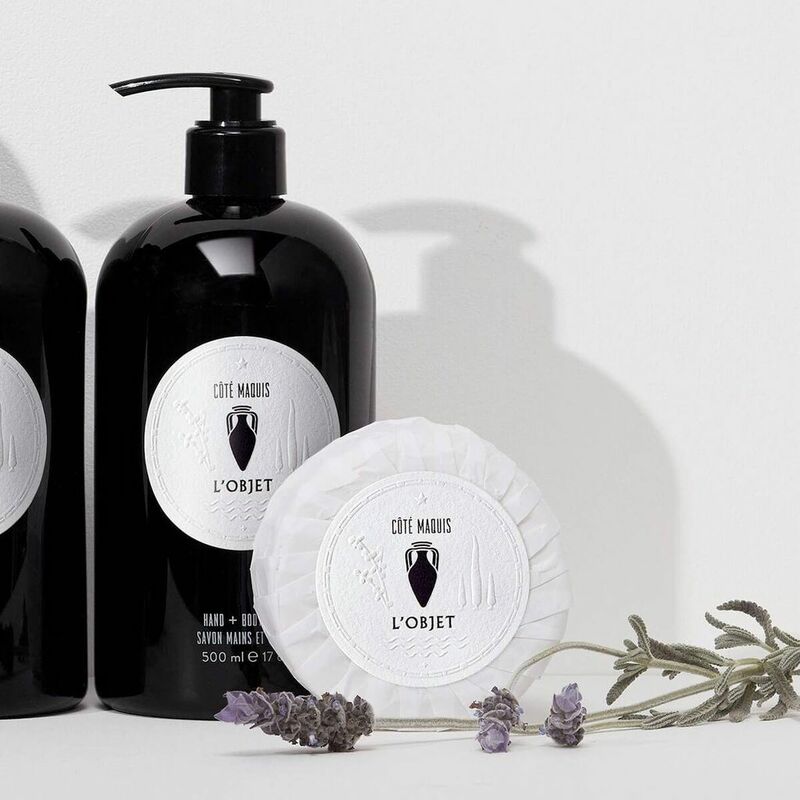 Together with Europe’s oldest bath and beauty artisans, L’OBJET blends old world techniques while finding innovation within the integrity of natural ingredients. To ensure lasting potency, the formulations are contained in UV-blocking, black violet glass. The apothecary experience is designed to beautify the air, nourish the body, and lift the spirit. The artisanal soap is made from traditional formulations using natural ingredients, including walnut oil and Moroccan Argan oil. Gently cleans and moisturizes. Leaves skin soft, glowing and lightly perfumed. Keep out of reach of children and pets. Avoid direct contact with furniture or open flames. Do not ingest.